Based on 2 people sharing a double/ twin room on consecutive nights. FREE OFF ROAD / GATED PARKING allotted to each guestroom.  10 minutes walk from the quieter West Shore that has fabulous views to the mountains and Anglesey. 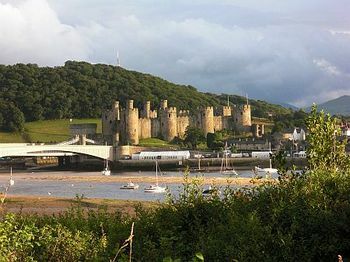  10 minutes from the coastal foot/cycle path that leads to Conwy Castle and walled town. 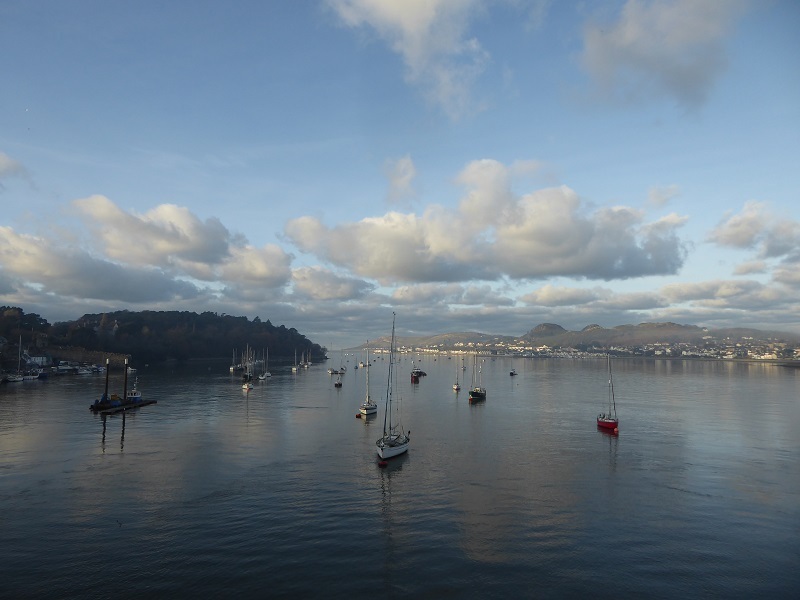 The pathway offers spectacular views along the whole route. 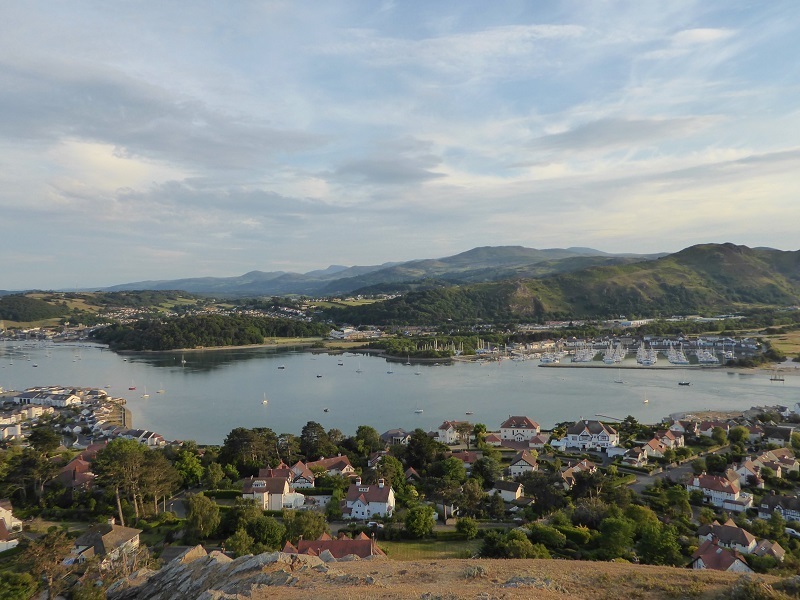 Situated on the North Wales Coast, Lymehurst Bed and Breakfast is surrounded by many places of historical interest & is within easy reach of the stunning Snowdonia National Park & Conwy Valley. 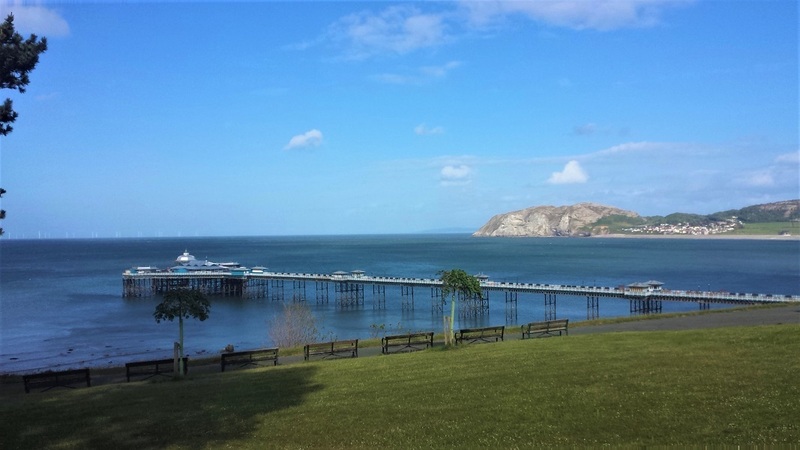 Not only does Lymehurst provide an ideal place to stay if you enjoy more active holidays such as cycling, walking, kite surfing or golfing, (Maesdu & North Wales Golf Clubs are within walking distance!) 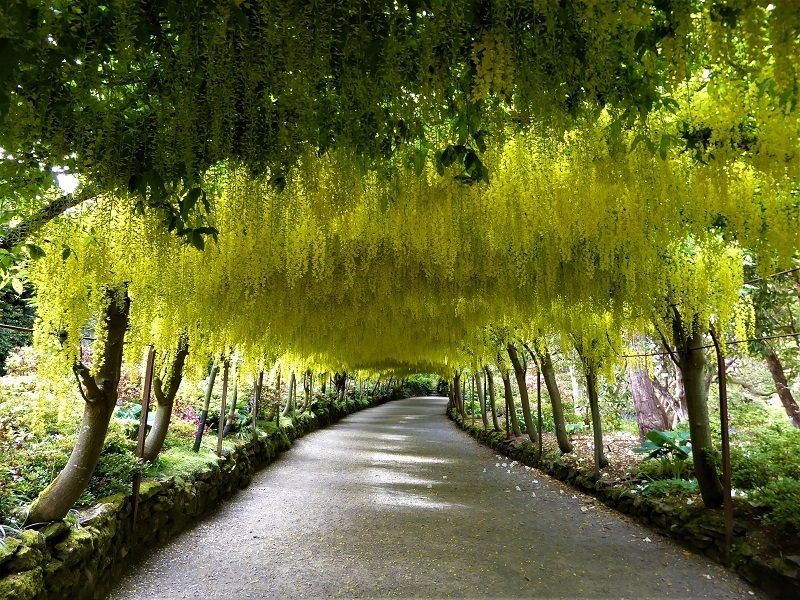 but it can equally provide the perfect place to simply relax and enjoy the stunning scenery. Light, airy guest bedrooms, recently refurbished, provide modern, comfortable accommodation for guests. They have larger than standard en suites. Both rooms can be booked as double, twin or triple. 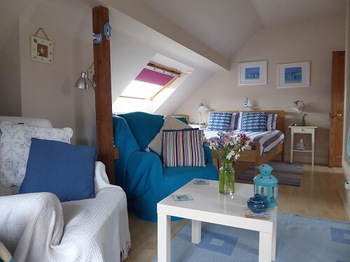 One double room has an interconnecting single room that has proved popular with couples travelling with a teenager, parent or friend. 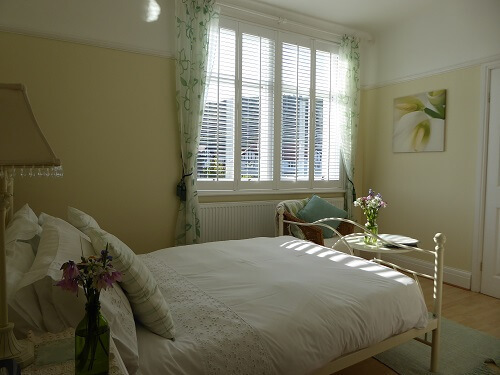 Each room has central heating, satellite television, tea and coffee making facilities, hair dryer and Wi-Fi access as well as other extras such as tissues, sweets, solitaire & playing cards. Guests can also borrow books to browse through. 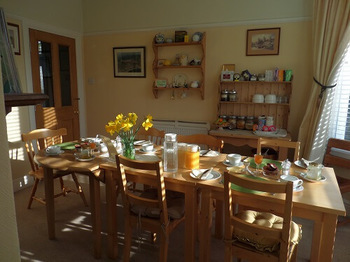 A full cooked Welsh Breakfast, that includes Edward's of Conwy award winning sausages, home cured bacon (when available) and local free range eggs, vegetarian or continental breakfast is served in the sunny Breakfast Room that looks out on to the flower filled back garden. Need a break? Dreaming of escaping for a weekend away, a short break, or a romantic getaway? 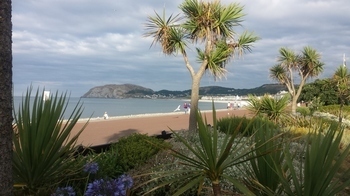 Come to wonderful Llandudno and stay at Lymehurst B & B. 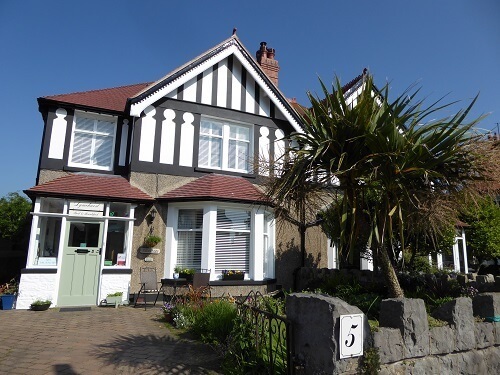 Many guests have commented on the "relaxed, homely feel" that they find here at Lymehurst Bed & Breakfast and perhaps that is the reason why so many guests have chosen to return here. Check our 243 reviews on Tripadvisor to see what other guests have said about Lymehurst B&B. 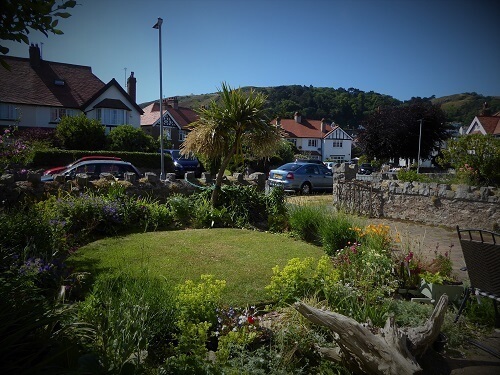 During the warmer months guests can relax and enjoy the last of the evening sunshine in the front garden at Lymehurst B & B. 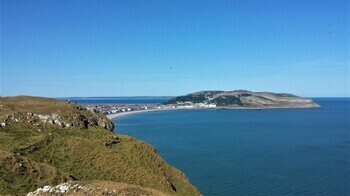 While taking in the view of the Great Orme It's even possible that the famous (or infamous, if you are a gardener!!!) cashmire goats might be spotted grazing on the slopes.